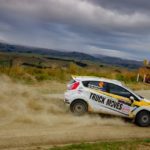 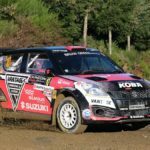 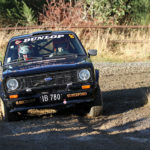 Ben Hunt bettered Dylan Turner across Sunday’s seven stages to claim victory in the opening round of the Brian Green Property Group New Zealand Rally Championship in Otago. 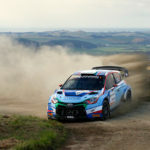 Subaru driver Hunt demolished Turner’s 11.5 second overnight lead on the opening stage of Sunday morning and never looked threatened as he went one better than last year and earned top step..
New Zealand rally star, Hayden Paddon, has dominated the field on the opening day of the Drivesouth Otago Rally, winning all but one stage in his Hyundai i20 AP4. 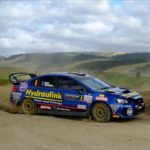 Hayden Paddon was uncatchable on the opening day of the Otago Rally. 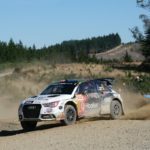 Photo: Peter Whitten The former World Rally Championship star beat his stage record on each of the day's stages..
Audi driver Dylan Turner leads the opening Brian Green Property Group New Zealand Rally Championship event in Otago overnight after a spectacular opening day of action south of Dunedin. 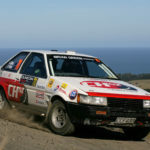 The veteran Pukekohe-based driver overcame a turbo hose issue on the second stage of Rally Otago to hold a 11.5 second lead from last season’s championship runner-up Ben Hunt. 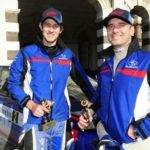 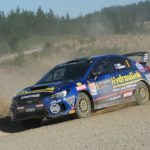 Turner has..
Ben Hunt and co-driver Tony Rawstorn will enter their tenth season of rallying together when they fire up Hunt’s Subaru WRX STI on the start line of the Drivesouth Rally of Otago on Saturday. 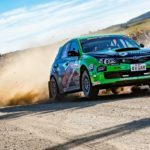 Nine years ago, the two friends paired up for the first time, after Hunt had decided to form his own rally team - Hunt Motorsports for..